The annual awards were given Wednesday (Feb.1) at a joint luncheon of the Clearwater and Belleair Rotary clubs. CLEARWATER – An undercover police officer was named the Officer of the Year on Wednesday (Feb. 1) at a joint luncheon of the Clearwater and Belleair Rotary clubs. A second Clearwater police officer and a Clearwater firefighter received public safety awards. The 40th annual Joseph F. Cornelius Family Foundation Officer of the Year Award, the department’s highest honor. The Cornelius family began the award after learning of the death of Clearwater police Officer Ronald Mahony in the line of duty in 1977. The officer, who is now an undercover detective, was trying to apprehend a suspect who fled and then fought with him. During the struggle, the suspect kept trying to reach into his pants pocket for something. With the assistance of another police officer, the suspect finally was brought under control.Officers found a fully loaded handgun in his pocket that he was trying to reach during the struggle. Clearwater police Sgt. Sean Allaster received the 2017 Public Safety and Service Award. Allaster serves as the junior varsity football coach at East Lake High School and works with youngsters not just on the field, but in the community as well. He gets players involved in community service projects involving Hospice and the Rotary Club of East Lake. 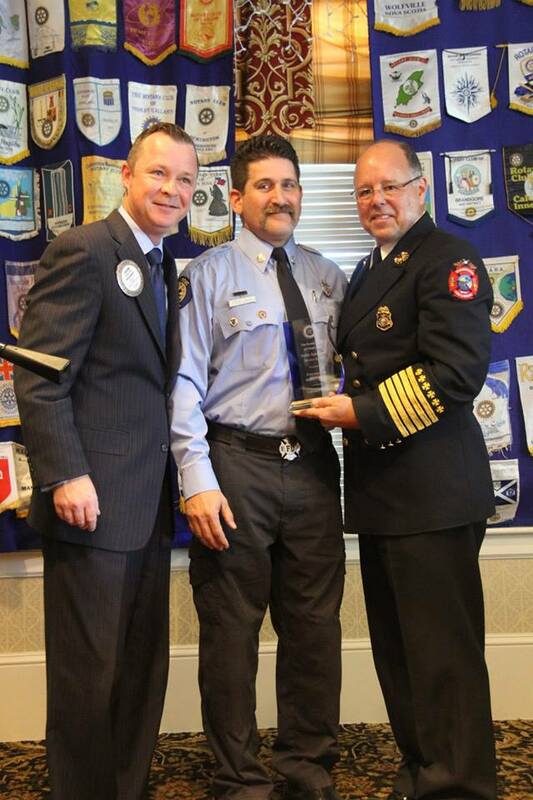 Driver-Operator Robert Palisi of the Clearwater fire department also received the 2017 Public Safety and Service Award. He works annually with the Muscular Dystrophy Association boot drive to raise money to fight the disease. He is also a member of the fire department honor guard, participates in the Great American Teach-In and is on the agency’s peer support team.